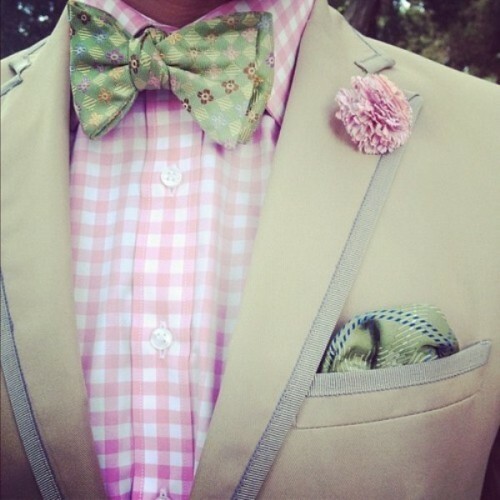 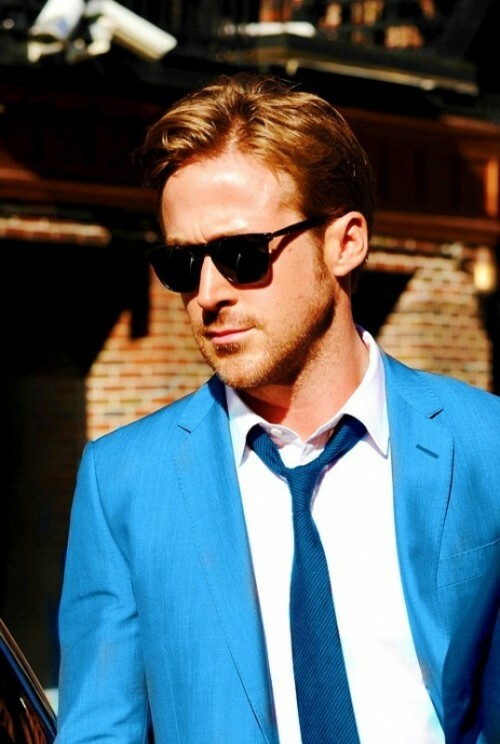 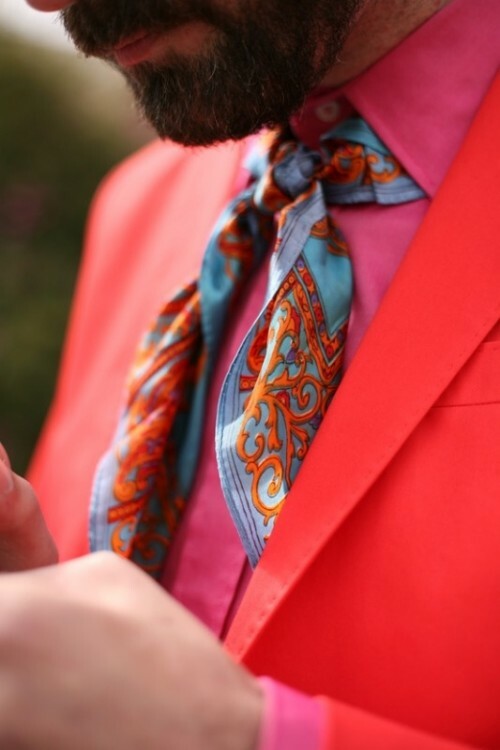 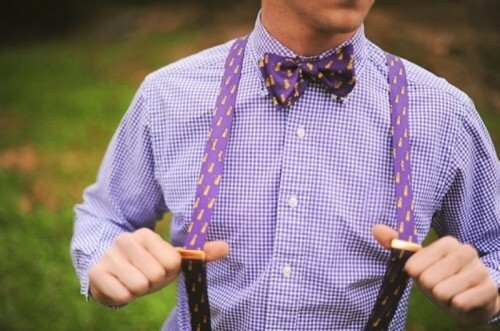 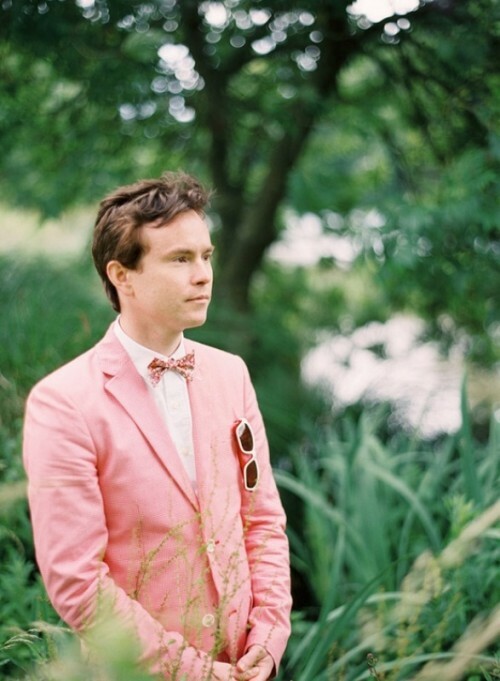 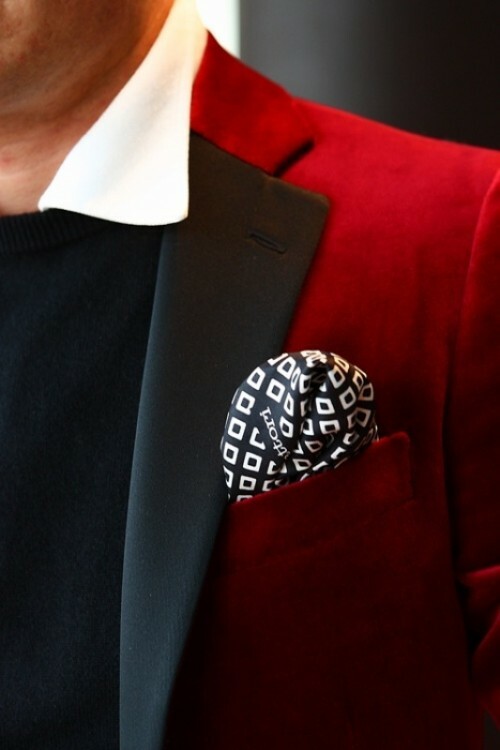 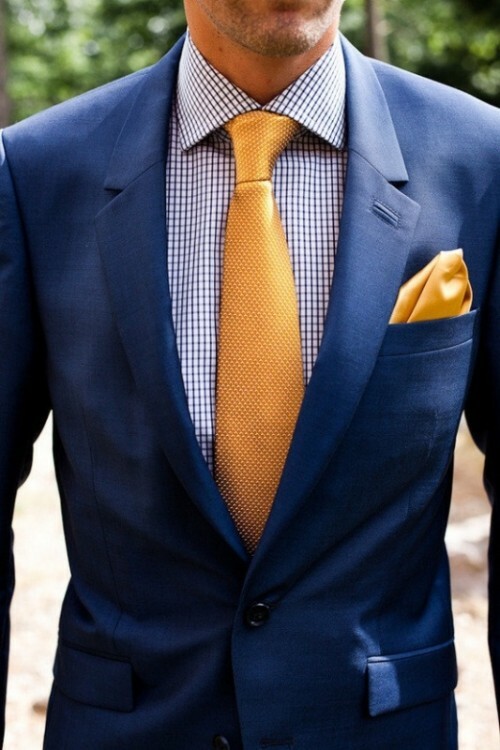 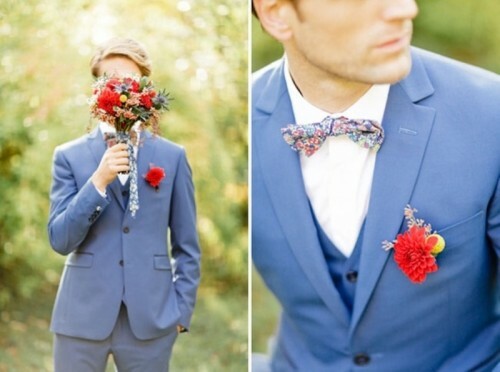 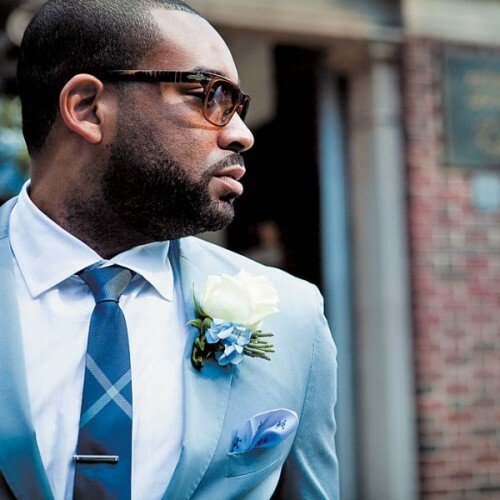 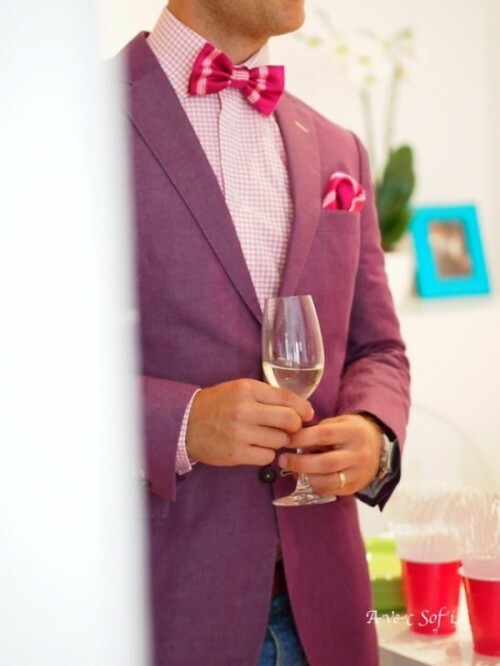 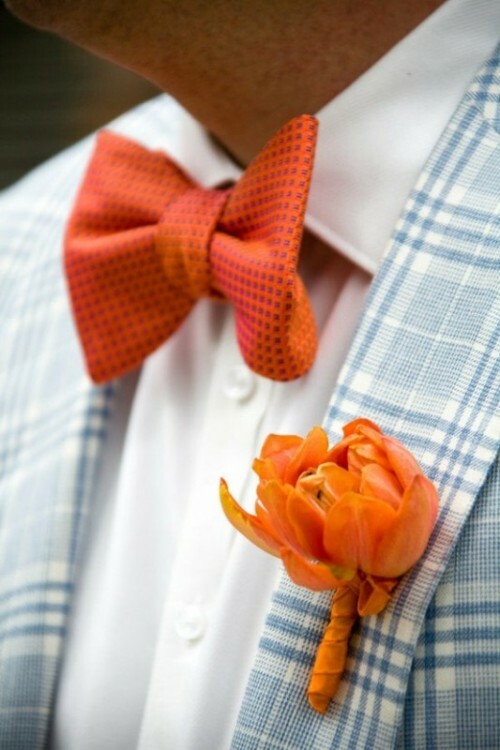 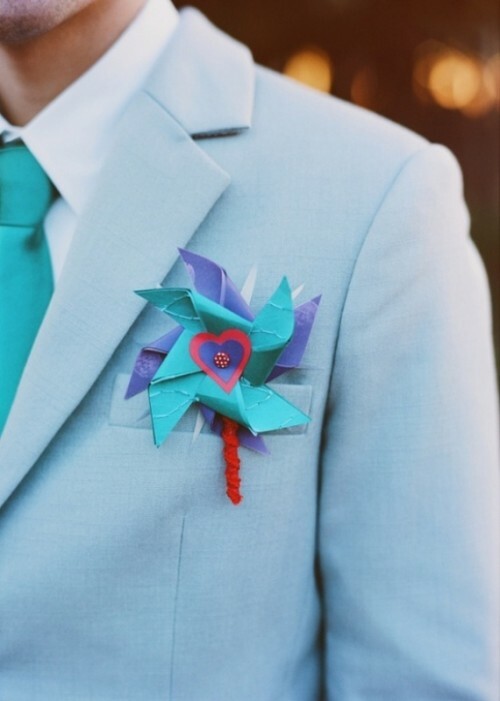 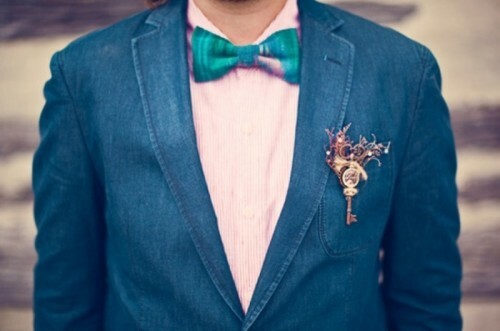 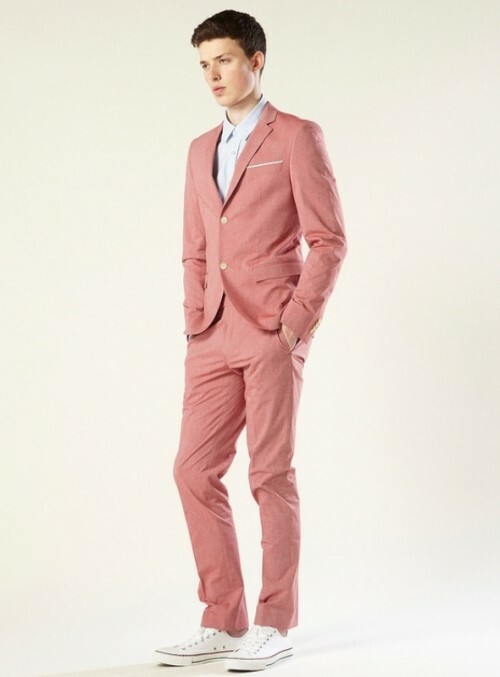 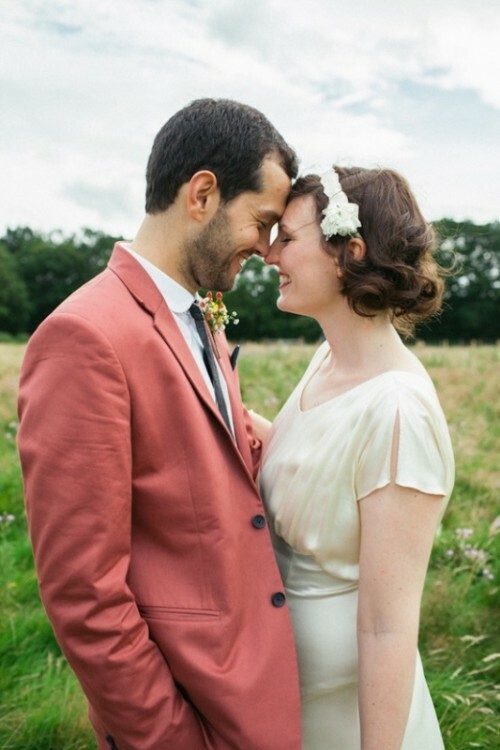 If your groom loves a little pop of color, then tell him not to hold back! 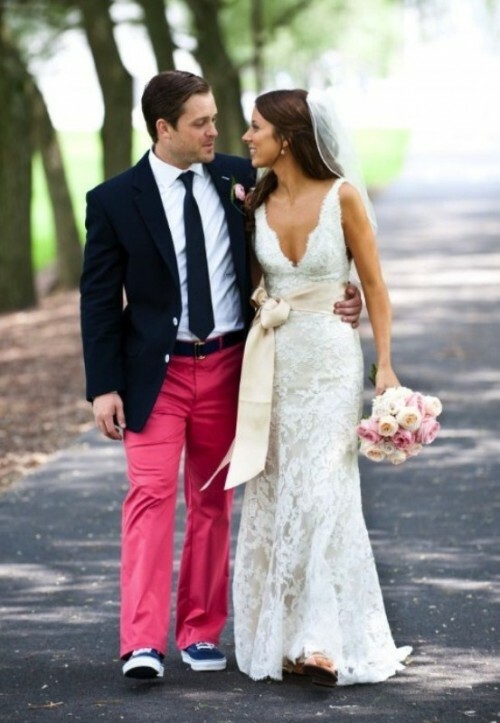 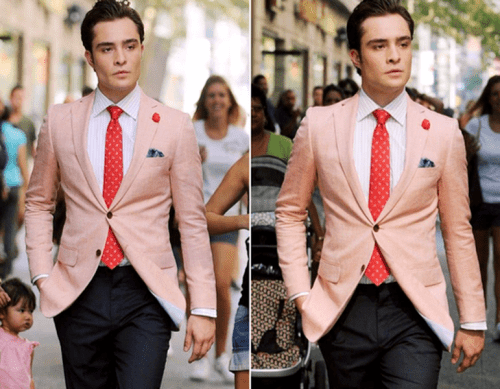 Our only advice is to be sure to match his POC with the color palette of the wedding. 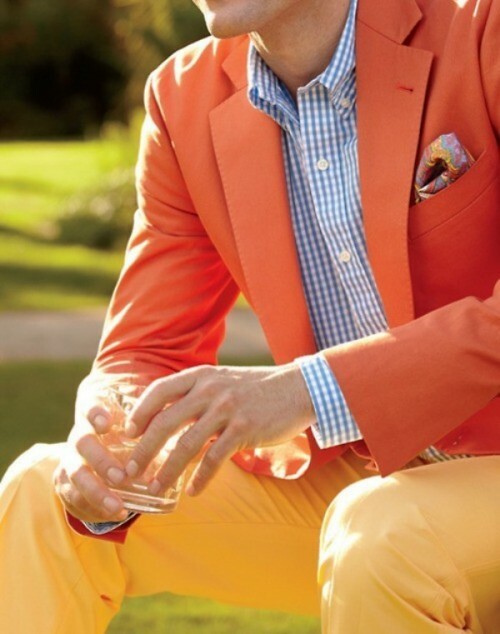 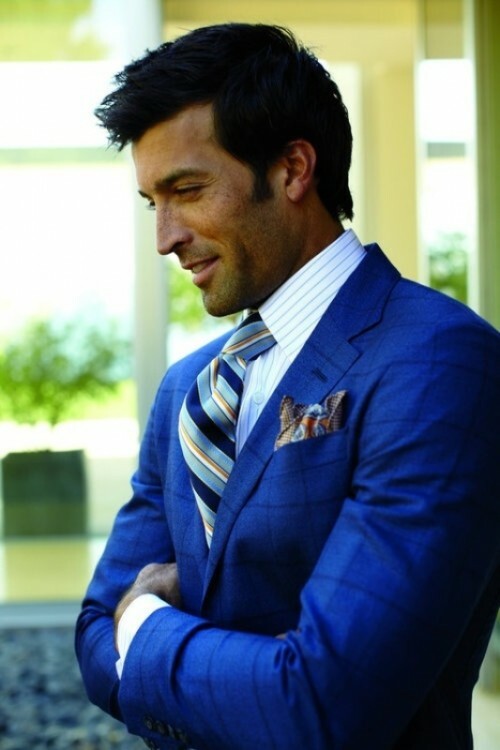 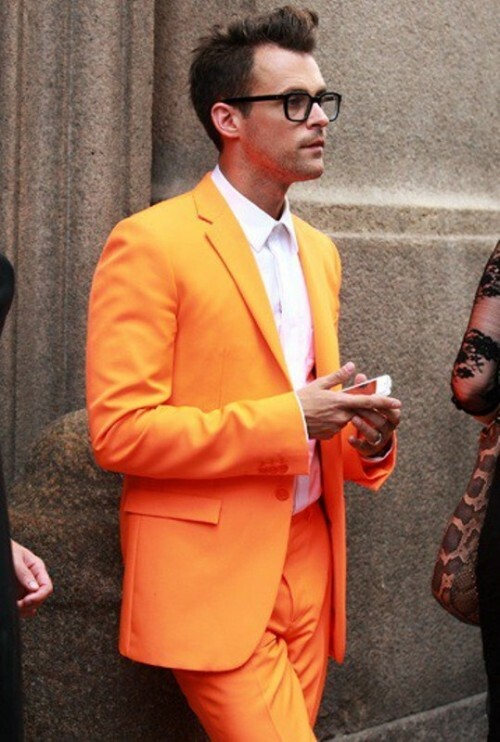 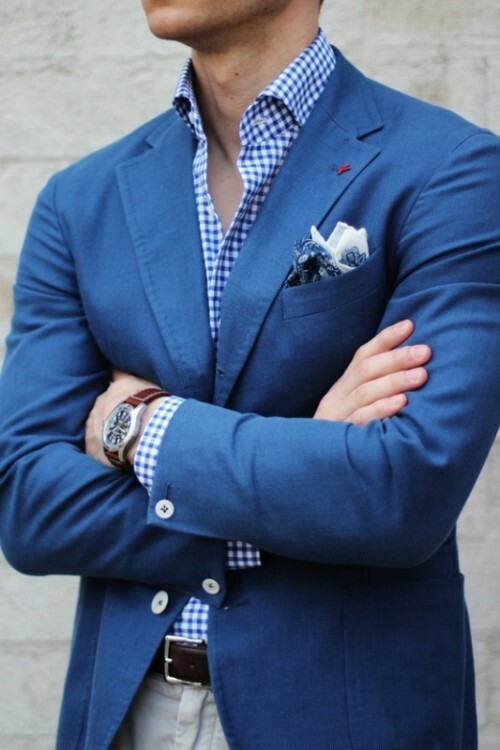 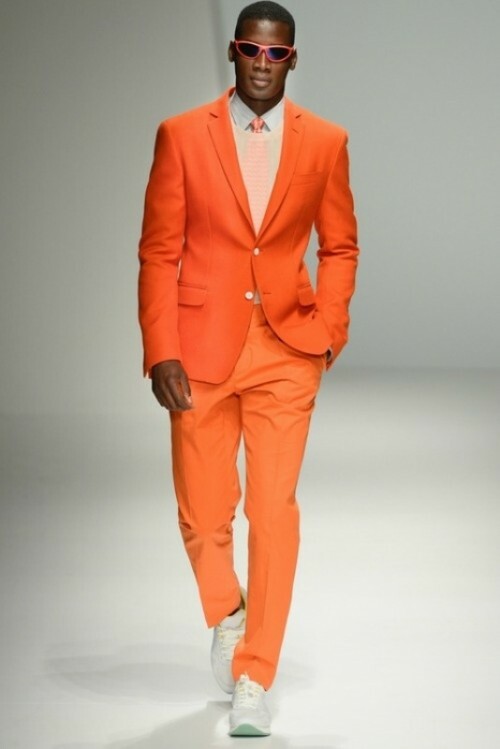 We’ve collected the whole gallery of suits that just shine bright with beautiful colors from shades of blue to the boldest orange color. 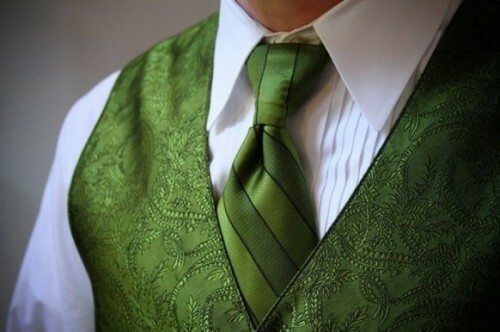 However, if you think that your groom all over in green, for example, is too much but you still want to diversify his look and refresh it somehow then make few colorful accents with his tie, boutonniere, handkerchief, even socks. 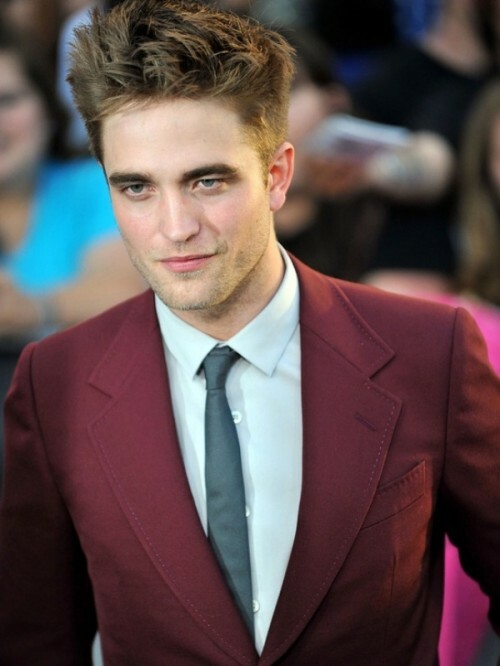 But don’t refuse in advance, just have a look at the photos below first.